I spent nearly twenty years associated with the University of Manchester. I arrived in September 1976 as an undergraduate student in the Department of Physics and, apart for a short stint at the GEC Hirst Research Centre during 1982, I remained at the University until February 1995. I moved to the Computer Science Department (now renamed to the School of Computer Science) to complete a M.Sc by research in September 1979, leading to a Ph.D on Local Area Networks. After a short period of post-doctoral work, I joined the staff of the Department as a Lecturer (later, Senior Lecturer) in 1983. I continue to maintain a few informal contacts with University of Manchester. I was the designated IBM liaison for the School of Computer Science, and I have presented occasional seminars and undergraduate lectures in the School. At one time, I was a member of the School's Industrial Advisory Board and represented IBM on the University's Collaborative Training Account (CTA) Masters Panel, which made recommendations for the development of new taught M.Sc courses. Senior Lecturer in Computer Science, University of Manchester, October 1989 - February 1995. Lecturer in Computer Science, University of Manchester, May 1983 - September 1989. Research Scientist, GEC Hirst Research Centre (seconded to the Computer Science Department, University of Manchester), October 1982 - April 1983. Technician, Cambridge Instruments Ltd., August 1975 - August 1976. Consultancy work for 11 UK companies, including IBM, Shell, TSB, Barclays Bank, Logica, Royal Insurance, RTZ Mining and Exploration, British Rail, Nomura, HP, Space Computer Systems. Fibre-optic communications and Local Area Networks (LANs). Object-oriented design and programming languages. 2005 Fellow of the British Computer Society (FBCS). Corporate member of the BCS since 1987. 2005 Registration as a Chartered Information Technology Professional (CITP). 1990 Registration with the Engineering Council as a Chartered Engineer (C.Eng). 1988 Member of the Institution of Engineering and Technology (MIET). The IET was previously known as the Institution of Electrical Engineers (IEE). 1984 Ph.D in Computer Science, University of Manchester. See here for the paper based on this thesis. 1980 M.Sc in Computer Science, University of Manchester. 1979 B.Sc (1) in Physics and Computer Science, University of Manchester. 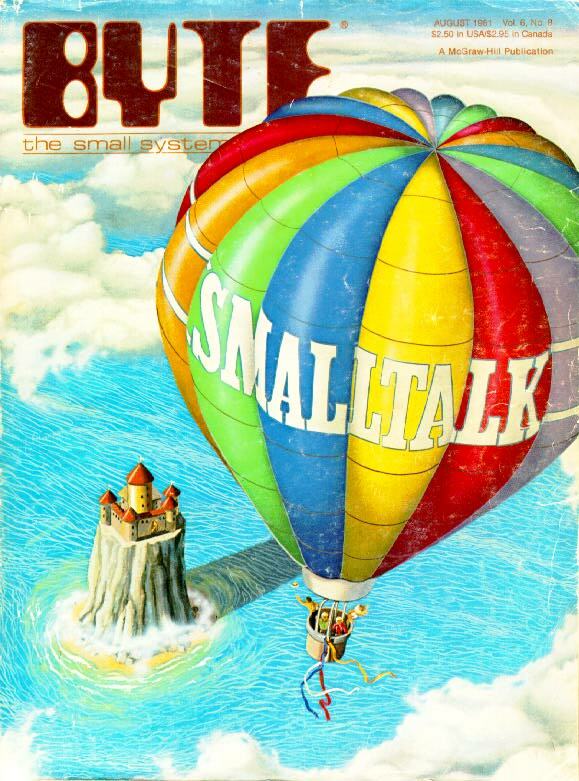 I spent some time learning Smalltalk-80, one of the earliest fully object-oriented programming languages. I worked for many years on the Mushroom project, investigating hardware and software implementations of dynamic object-oriented languages, in collaboration with Mario Wolczko. This led to interests in concurrent and parallel programming, compilers and programming language design, and object-oriented design approaches and metrics. This work, together with my experience in teaching object-oriented development, led to me leaving the University and joining IBM in February 1995. It also directly contributed to the approach taken with the Product Builder development. Prior to the Smalltalk and Mushroom work, I continued my Ph.D work on Local Area Networks (LANs), extending the coverage of the Centrenet LAN to multi-media and collaborative working. Supervised 11 students for the degree of Ph.D. Supervised 22 students for the degree of M.Sc. Member of the organising committee of the European Conference on Object-Oriented Programming (ECOOP'89) in July 1989, organised in conjunction with the British Computer Society. Member of the programme committee for the Technology of Object-Oriented Languages and Systems conference (TOOLS-USA), Santa Barbara, in August 1991. Principal organiser for a Symposium on Industrial and Commercial Applications of Smalltalk, Computer Science Department, University of Manchester, 23-24 March 1993. Member of the organising committee for a five-day Summer School in conjunction with the European Smalltalk Users Group, held in Brest (France) during 1993. Presented a one-day talk at this event. Member of the organising committee for a five-day Summer School in conjunction with the European Smalltalk Users Group in Cork (Ireland) during September 1994. Presented a half-day talk at this event. In addition to the normal teaching activities at the University of Manchester, I have been involved with the setting and marking of examinations in other organisations. Member of the British Computer Society Board of Examiners, partially responsible for Part II, Option A papers (Digital Computer Organisation, Design and Engineering). This exmination forms part of one route to membership of the BCS. Examiner 1987-1994. Examiner for the Engineering Council, partially response for paper 246 (Computer Systems Engineering). This examination formed par of the requirements for membership of the Institution of Electrical Engineers and other engineering instituions affiliated to the Engineering Council. Examiner 1988-1994. External examiner for Ph.D these from Queen Mary College, London, Sunderland Polytechnic (now the University of Sunderland, the University of Newcastle-upon-Tyne, the University of Southampton, the University of Aston and the University of Edinburgh. External Supervisor for a Ph.D student at Dundee Institute of Technology (now the University of Dundee). I have also continued to perform some academic activities aside from the University of Manchester. In 2002, I was on the Ph.D examinations panel of the Computer and Information Systems department of the University of Detroit Mercy, and the Department of Computer Science and Information Systems at the University of South Africa.